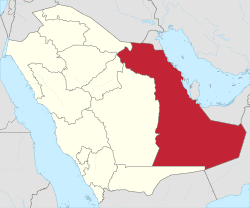 The Eastern Province (Arabic: الشرقية‎‎ ash-Sharqiyyah) is the largest province of Saudi Arabia by area. The province's capital is the city of Dammam, which hosts the majority of the region's population and its seat of government. The Eastern Province is the third most populous province in Saudi Arabia, after Makkah and Riyadh. 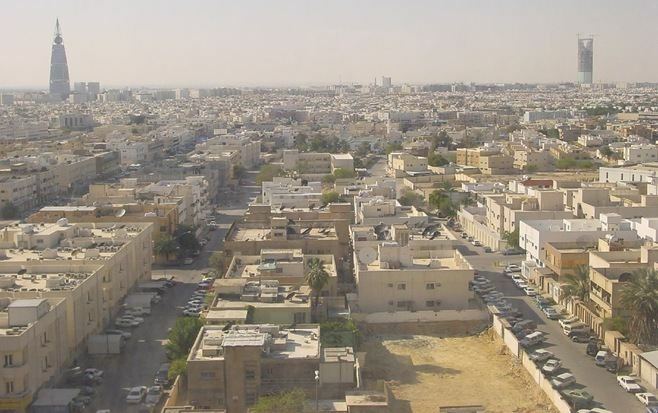 Dammam is the province's most populous city, and the sixth most populous city in the country. The current governor of the Eastern Province is Prince Saud bin Nayef Al Saud. The Eastern Province is home to most of Saudi Arabia's oil production. The region is also home of the City of Jubail, which hosts the Jubail Industrial City, a global hub for chemical industries. It is also a tourist area because of its location on the coast of the Persian Gulf, and proximity to the other Arab states of the Persian Gulf and the Riyadh Region. The Eastern Province borders the Persian Gulf, which contains the province's only maritime and borders 5 countries on land. Apart from this water border, the majority of the countries that the Eastern Province borders are on land, and those are: Iraq (partially), Kuwait, Oman, Qatar, and the United Arab Emirates. The largely uninhabited Rub' al Khali (Empty Quarter) desert occupies more than half of the province. The Saudis of Najd gained control of the area after the collapse of the Ottoman Empire. 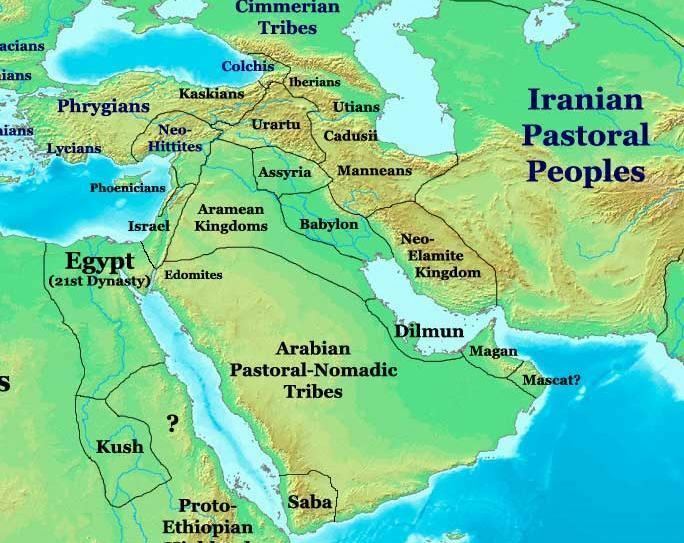 The inhabited areas had been known as "Al-Ahsa" (Arabic: الأحساء‎‎) under Ottoman rule, and the entire region of Eastern Arabia was mostly known as "Bahrân" (Arabic: ا لبحر ن‎‎) from pre-Islamic times until 1521. According to a report released by the Central Department of Statistics and Information, the Eastern Province had a population of 4.1 million as of December 2010, of which 1.2 million were foreigners. The Eastern Province is the third most populous province in Saudi Arabia, after Makkah and Riyadh. With a population of 903,000, Dammam is the most populous city in the province and the sixth most populous city in the country. The report also found that 23% of people who died or were injured in road accidents in the Kingdom were from the Eastern Province, making it the second deadliest province in the country (Riyadh accounted for 29%, while Makkah was tied at 23%). The government does not conduct census on religion in Saudi Arabia. Sunni Islam is the predominant religion overall in the country; however, Shia Muslims are predominant in the Eastern Province. The official language of Saudi Arabia is Arabic. The three main regional variants spoken by Saudis are Hejazi Arabic, Najdi Arabic, and Gulf Arabic. There are approximately 2 million Gulf Arabic speakers in Saudi Arabia, and the dialect is only spoken in the Eastern Province. The remaining Arabic speakers in the province speak one of the other two dialects, more commonly the Najdi dialect. Saudi Sign Language is the principal language of the deaf community. The large expatriate communities also speak their own languages, the most numerous of which are Indian languages, Filipino/Tagalog, Egyptian Arabic, Indonesian, Rohingya, and Urdu. Saudi Aramco, the state-owned oil producing company of Saudi Arabia, is based in Dhahran, which is located in the Eastern Province, and most decisions on oil policy and production that affect the global economy are made there. The kingdom's main oil and gas fields are mostly located in the Eastern Province, onshore and offshore. Notable among these are the Ghawar Field and the largest crude increment in the world. Petroleum from the fields is shipped to dozens of countries from the oil port of Ras Tanura and is also used as feedstock in numerous industrial plants in Jubail. Saudi Arabia's second major product, dates, also forms a large part of Eastern Province's economy. Every year thousands of tonnes of dates are harvested from the date palms in the giant oases of Al-Ahsa. The same as other cities in the Kingdom the area has faced reasonable growth over the past two years; however, it has always maintained a more consistent real estate progress due to the smaller number of major projects that can have an impact on its real estate landscape and due the long term outlook of many firms located within it. A D Williams indicated in the Saudi Real Estate Companion that despite being home to some of the largest conglomerates in the region, namely Aramco and Sabic, the Eastern Province did fall behind the rest of the country when it came to non-oil related services. 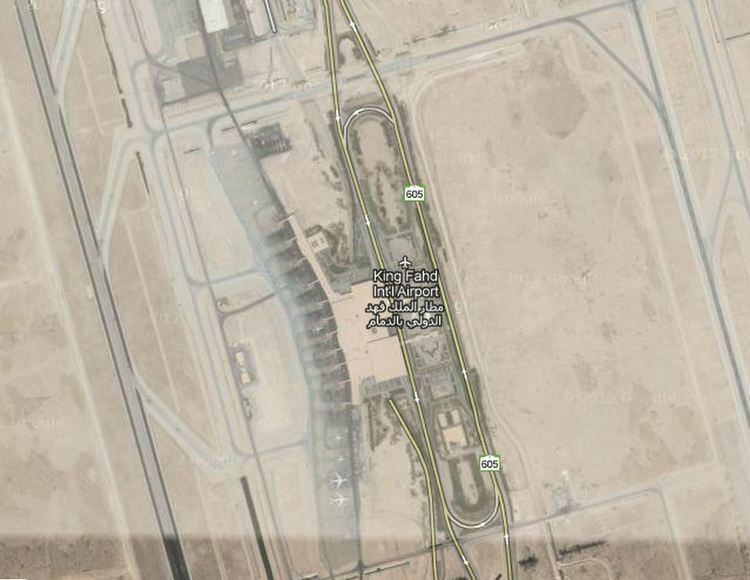 Dammam's King Fahd International Airport, the largest airport in the world in terms of land area. The passenger terminal is about 20 km to the northwest of the city and is connected by a 6-lane highway. The airport is the primary air hub of the Eastern Province. Dammam is well connected by air with other cities in the Middle East, Asia, and Europe. Other international airports in the province are Al-Ahsa International Airport and Al Qaisumah/Hafr Al Batin Airport. The major cities of the Eastern Province cities such as Abqaiq, Dammam, Dhahran, Hofuf, Jubail, Khafji, Khobar, Ras Tanura, Sihat and Qatif (Gulf Road (Saudi Arabia)) are well connected by highways. Dammam is connected to the Saudi capital, Riyadh and Jeddah on the west coast by Highway 40. The Eastern Province is also linked to Bahrain by the 28 km long King Fahd Causeway, and to other Middle-Eastern countries such as Kuwait (Abu Hadriyah Highway), Oman, Qatar and the United Arab Emirates. Inter-city bus services are operated in the province by the Saudi Arabian Public Transport Company (SAPTCO). Bus services also connect Dammam and other cities in Saudi Arabia, and across the Middle East. The Eastern Province is one of the 13 regions of Saudi Arabia (Arabic: مناطق إدارية‎‎; manatiq idāriyya, sing. منطقة إدارية; mintaqah idariyya). The region is further subdivided into 11 governorates (Arabic: محافظات‎‎; muhafazat, sing. محافظة; muhafazah). The governorates are further sudivided into sub-governorates (Arabic: مراكز‎‎; marakiz, sing. مركز; markaz). The Eastern Province's capital city of Dammam has special status. Like the other 12 regional capitals, Dammam is not included within any governorate but is instead governed by a "municipality" (Arabic: أمانة‎‎; amanah) headed by a mayor (Arabic: أمين‎‎; amin). The Al-Ahsa Governorate, which includes the traditional oasis of Al-Hasa and the Rub' al Khali desert, is the largest governorate in Saudi Arabia in terms of area. Dammam: Capital of Eastern Province, the main seaport and the fifth largest city of Saudi Arabia (after Riyadh, Jeddah, Mecca and Medina). Khobar: Major city in Eastern Province and center for commerce. Dhahran: Oil industry center, site of Saudi Aramco headquarters. Its home to a major base of Royal Saudi Air Force and the most prestigious Saudi university, KFUPM. Al-Hasa: Largest oasis in the world. It should be noted that Al-Hasa is sometimes considered by the people of the province to be a province by itself, since it has its own annual budget and its own local government, unlike the other areas in the province. The local government is formally known as the Al-Ahsa Governorate, a division of the Government of the Eastern Province. In addition, Al-Hasa has a mayor who has a power of a governor, although not "officially" considered as a governor because the province's governor still can control the operation of Al-Hasa Governorate and its mayor's office. Nonetheless, the Eastern Province's governor is still considered the head of the province government in any local occasion that occurs in Al-Hasa. Jubail: Largest industrial city in the Middle East. Khafji: Main industrial city, very close to the border with Kuwait. Occupied by the Iraqi forces during the Gulf War. Saudi Forces aided by United States Marines victoriously engaged in the Battle of Khafji during Operation Desert Storm to free it from the Iraqis. Hafar Al-Batin: The largest city in the North-East of Saudi Arabia, it is 90 km near Kuwait and it has more than 35 villages. King Khalid Military City is 60 km South to it.